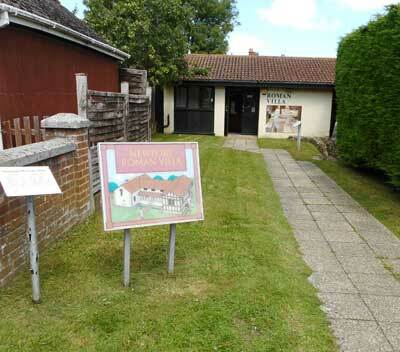 Newport Roman Villa was uncovered in 1926 when builders digging a foundation trench for garages revealed Roman tiles. By the following year, the complete floorplan had been revealed and the site was purchased by a townsman and a building erected over it. In the 1960's the IW County Council took on responsibility. Although the villa is thought to date from about 280 AD, pottery recovered from a trench under the villa suggests the site was occupied at the end of the 1st century AD. The remains of the villa includes some well preserved Roman bath suites with hypocaust underfloor heating and mosaics. The Villa is now opened to the public.